Essential Oils Why Essential Oils? Get Started! FAQ Work with me! 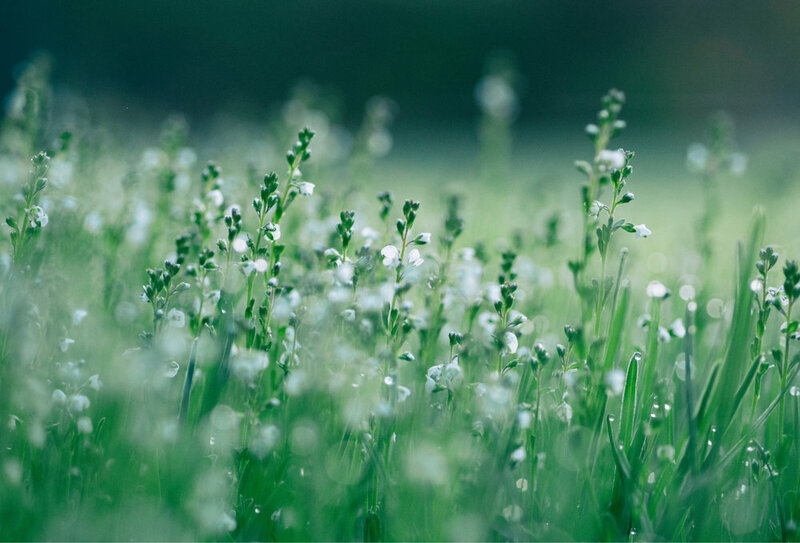 As a certified aromatherapist and someone who regularly uses essential oils for my health and household needs, I have pretty much heard it all. Some of it is true and some of it ain’t! After seeing both an increase in good information and also an increase in quackery, I decided to tackle a few of the common false claims that continue to plague essential oil education. Please note… I love essential oils and God’s gift of plant-based medicine. I love aromatherapy. I love them so much that I even sell them so that I can help provide my clients with the best oils possible. Yes, yes, I know that some of you will instantly disqualify my perspective based on the fact that I make money off of doing what I love and what I’m good at. That criteria will disqualify almost every professional in every field… but I understand the skepticism. For the rest of you… I hope that I can help you sort through the mountains of information out there and identify some of what is legit and what is downright quackery. I run a Christ-centered business and believe that I will be held accountable for every breach of ethics before the judgment (and mercy) of Jesus Christ. That doesn’t make me perfect… I just want you to know where my head and heart are. Also, please don’t use my article to go hating on your friends who don’t agree with me. Just make informed choices for yourself and gently share what you know. It doesn’t serve others to blow up their businesses by making them look stupid in front of their friends and family. We all grow and stretch and learn and we do so best with considerate friends. Definitely share my article… and definitely do it with love and consideration. False. Essential oils applied to the spine will not correct scoliosis. I don’t care what your company says, it simply isn’t true. What IS true is that receiving a massage with essential oils will help relax your muscles and consequently, help decompress the spine. It is certainly possible to measure a little bit taller after that! But it is not correct to say that the application of oils alone will add height to your body. I have met aromatherapists who believe this and use pre and post-therapy height measurement to prove the value of the oils. I can give you 101 reasons why essential oils are beneficial to the body (including the spine) during massage and therapeutic treatments but this is NOT one of them. There is a lot about science that we know and a lot that we don’t know. One of the things that we do know is that the chemistry of essential oils is biologically beneficial to plants, people, and animals. One of things that we don’t know is if or how the energy frequencies of oils impact our biology. There is no standard of measurement for this kind of “energy work” other than how we feel after the application; and to be honest, those results could certainly be from the scientifically measurable chemistry of the oils! I’m not saying that you can’t believe in frequencies as a healing modality. I’m saying that it falls under the umbrella of belief and not science at this point since what we can know through study and observation doesn’t support the method. What we have is a lot of people running around talking about the quantum physics of essential oils and the “magic bullet” concept of healing. The reality is that hardly anyone knows what they are talking about in the realm of energy healing. The greatest harm in that (other than that it is wrong to mislead people) is that it takes people further away from a concrete understanding of their own God-designed biological cues and needs. There are several popular devices on the market which claim to be able to read a person’s body using things like “quantum theory” and “biophysics” to assess needs. I’m not going to get into the details of the science since that info is available elsewhere and leads down a mega rabbit hole. But there are some points I want to address that impact our health and pocket books directly as consumers and sellers. First, these scan machines are the ultimate sales tool. For a moderate investment, I can buy one that is specifically designed for my company (essential oils, supplements, etc. ), have the customer touch the device, and BAM! All the info is spit out like a prescription. The results are not reproducible (because of something called “quantum indeterminacy”) which makes them impossible to study in any scientific fashion. Your reading will be different every time you have it done. Do the recommendations ever help? Sure they do. Because essential oils are beneficial to the body in many ways, and also because placebo is a legitimate avenue of healing. But as a Christian aromatherapist and someone who sells many products I recommend, I am not in the business of selling the “magic pill” but only in helping others towards a lifestyle of self-directed care and healing. I have nothing against marketing tools. Every single company uses them as a practical means of getting their information to the public… and can certainly do so ethically. But this is more than a marketing tool. It is a scam. When I was going through my aromatherapy certification, we spent the majority of the time learning the chemistry and usage of essential oils. At one point however, the class got briefly sidetracked with the introduction of a machine similar to the Zyto. The student who brought it up assured everyone that the $800 investment (plus monthly fees) was worth it because all we had to do was to have a customer place their hand on the device and their needs would instantly be matched to our product. In fairness to the woman, she absolutely believed that the science was legit and established and she believed she was offering good care to her clients. She was a believing Christian and I do not think that she meant anyone harm. And I would only add that it would be absolutely immoral for me to ever use this machine in order to make a few bucks because I do believe it to be quackery… but I think most people using it are simply deceived by false marketing and are not bad people. There’s a popular aromatherapist online who makes her living convincing people that she knows a lot about essential oil safety. She does know a lot but she also has some areas in which she probably needs a science refresher. She is opposed to internal use of essential oils and claims that lemon oil will rip up the mucous membranes in the digestive tract. She backs this up by reminding people of what lemon oil does to styrofoam (it eats a hole right through). First of all, lemon essential oil is food grade and approved by the FDA for that purpose. It is the same oil that we use when we use lemon zest in a recipe and the same oil that remains on our hands when we cut or peel a lemon. It is the same oil that gets squeezed into our tea and lemon water along with the juice of the lemon slice. It is not fundamentally harmful to your body. Second, lemon essential oil has a neutral pH which distinguishes it from the acidic juice of a lemon. Once upon a time, I consumed too much lemon juice to ward off pregnancy nausea. It worked, but I also permanently lost some enamel on my teeth. Lemon oil is a fantastic alternative that isn’t corrosive. Third, the chemistry of lemon oil reacts with the polymers of plastic differently than it does with our body. (This is also true with oils like rosemary, thyme, eucalyptus and others). The styrofoam experiment is pretty cool but does not prove that the oil will do the same thing to the esophagus or stomach lining. It also doesn’t prove the purity of an oil as so many on YouTube claim. When I was a kid, I used to drop nail polish onto pieces of styrofoam to watch it bore a hole right through. Fortunately, the nail polish did not also put a hole in my nail or skin! Similar principle… it’s a chemical reaction specific to the material. Ironically, it is the d-limonene in the lemon oil which causes the styrofoam reaction AND it is the limonene in all citrus which is nourishing and beneficial to the stomach lining! There are millions of people in the world currently using lemon oil (and common sense) in their beverages and food without harm. However, since most essential oils on the market have been shown to be fraudulent or contaminated with synthetics, I would only ingest oils from a trusted source. 5. A BAD REACTION TO ESSENTIAL OILS IS JUST DETOX. PUSH THROUGH! The first therapeutic grade essential oils I used were from a large well-known company (the same one that has told people that oils cure scoliosis, by the way) and my first reaction to smelling the oils was a strong histamine response. I assumed that it was just me… that my sensitivity to smells was what caused me to develop a migraine, slight nausea, and runny nose. I still tried to push through and started diffusing. My children hated it and I continued to react. So I closed up the box and put it on the shelf, repeating the experiment 3 more times a few weeks apart, trying to see if I could use them. As a pretty body-aware individual, I just said no. I took a sniff of the oils. It’s not detox. It’s a reaction. And I’m done. One year later, I was reintroduced to oils while researching a natural alternative to antibiotics. I purchased oils from a different company and did not have the same reaction. 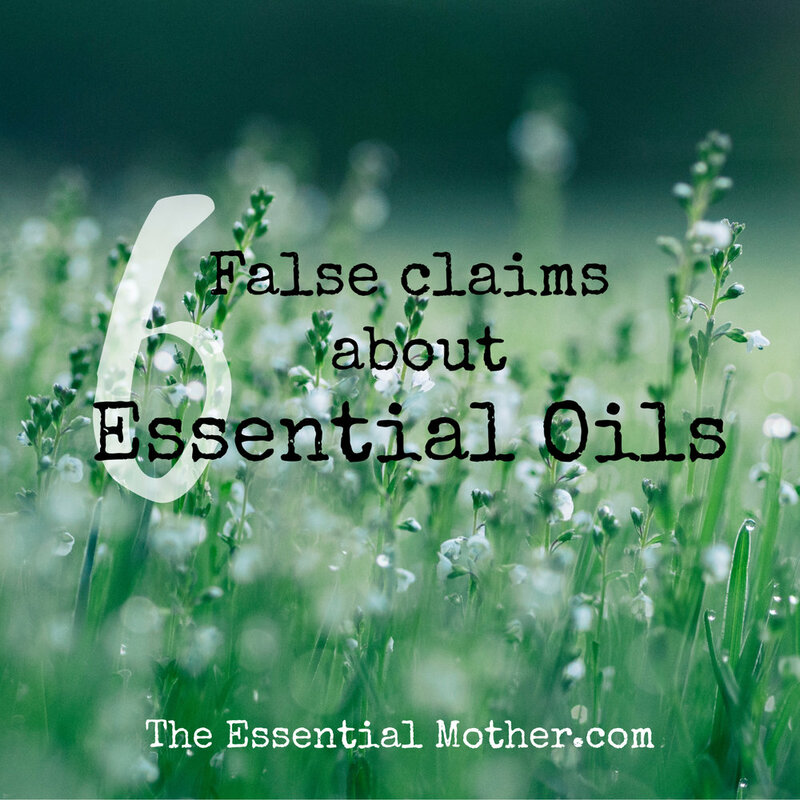 I was absolutely shocked and thrilled that I had zero negative response to the oils. My subsequent aromatherapy education confirmed that wisdom and I am a strong proponent of diluting and patch-testing. I also know that it is easy enough to simply stop using what doesn’t work. Unfortunately, there are still many people out there who believe that their symptoms are something they just have to push through. After having experienced many oils in the last few years, my opinion is that the first oils I reacted to were either poorly distilled (allowing allergen proteins through the distillation process) or they were synthetically contaminated. I do not have another explanation as to why I react to the oil of one company but not another, and independent lab testing has since confirmed the latter. I have Lyme Disease and so do know a few things about actual detox. Detox is a major aspect of my recovery since treatment causes what is known of as “die off.” The Lyme bacteria, co-infections, and fungal (mold, candida, etc.) toxicity produce large amounts of toxins as they die during treatment. This is called “herxing” (short for Jarisch–Herxheimer reaction). If this process is not properly navigated, a person can experience varying degrees of illness and in extreme cases, even organ damage. So the detoxification process is important since it is the process of moving those toxins safely out of the body. This is not a common response to the normal use of essential oils. And it is not what I would properly call “detox” which is more accurately the elimination of the toxins and not the die off itself. The elimination of toxins (“detox”) is a process of the body that centers around the kidneys and liver. These organs can be overwhelmed by a toxic overload and the body can experience illness as a result. If you are in a toxic state, you may very well be more sensitive to essential oils and everything else that you come into contact with. But if you put a drop of essential oil on your skin and develop a rash, it is not likely to be related to “detox” at all. It is probably simply a sensitivity to the oil (diluting will often solve this issue) or to contaminants if you bought from a dishonest company (which is sadly the majority on the market today). When in doubt… dilute, patch test, and if something makes you sick and it isn’t supposed to… stop using it. Every body is different. Wrong. I invested time and money to earn my certification with a NAHA approved school, and I’m telling you that you don’t need me to learn to use essential oils safely and effectively. I know… that seems a little like I’m shooting myself in the professional foot, but hear me out. I’m not saying that you won’t benefit from good teachers (and I try to be a good one), but please know that essential oils are safe enough — and you are probably smart enough — to navigate use on your own. They don’t always agree with each other even on fundamental aspects of their specialty. Surprise! We’re no different than any other specialists including those within the medical profession. As the study of essential oils continues to expand, these knowledge gaps are closing… but differences still remain. In my certification program, I sat in a room full of wildly different women who would all ultimately leave with their certifications in hand (I assume). Some of them espoused beliefs and practices to which I am strongly opposed, and my approach may have been annoying to them as well. Some were focused on the bottom line ($$$) and some had a deep seated desire to serve others. Some were ready to change the world with energy flow charts and zyto scans, and others were excited to help people change their lives through biologically consistent plant-based medicine. Essential oils are ultimately a more user-friendly form of herbology. You don’t need a certification to use plants for healing and household care. You don’t need to be an aromatherapist and you don’t need me. But sometimes it does help to have gentle guidance and someone to point out concerns. Ultimately, essential oils are a gift from God and I use them safely and happily every single day… and it is one of the greatest joys in my life to help others learn to do so as well! Thanks for entering into the conversation. Welcome! My name is Melody. Wife, mother, aromatherapist, author, chronic illness survivor and thriver, speaker, business owner, home educator, dreamer, Jesus lover. Read more HERE. Tips, encouragements, recipes, and info to help you live a life of joy, service, and healing! Beautiful life. Real life. Crazy life. Thank you for using my affiliate links!